The "Cult of Piett" is the name of an internet based fan club for the Star Wars Character Admiral Piett. It is NOT a religious cult. The History of Fleet Admiral Munkres' Interdictor Cruiser. The Syren. The History of the good Admiral's TIE fighter squadron. 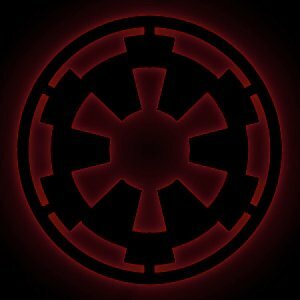 The 23rd Imperial TIE Fighter Squadron. Here are songs written for the enjoyment of the cult of Piett and Star Wars Fans in general. They are presented in somewhat of an order. Picture these songs occuring shortly after the Battle of Hoth. For instance, a song that would be performed during the battle:Hit the Floor Oz. Upon being contacted by the Emporer, this song is played:Vader. This is my proudest achievement yet as a Star Wars Parody maker. Had I the resources I would love to make the video of my song, Imperial Life. This number takes place during the cleanup operations after the battle. Now that the battle has ended, Piett calms down the crew and goes into the next number:Sweet Home Executor. Wondering what all the racket is about, Vader comes in and interupts the previous songs wind down. Quick thinking Piett changes the subject to talk about Vader and this song ensues:Sith Lord. Convoy, to the tune of the song of the same name. Brandy, to the tune of the song of the same name. The Force Will Go On, this is a parody of Celine Dion's Titanic song and is (in my opinion) better than the original. This is an EXCELLENT song parodied by my good friend (and fellow deity), Ensign Stephen Keith. It is The Power of Force, to the tune of The Power of Love by Huey Louis and the News. Here is a poem about the battle of Endor. This is the History of "Lieutenant" Charles Trapp Jr.